Who are you around online? Who is in your network? Who do you follow? Who follows you? What content and people do you consume, who do you like and subscribe to? It’s very important to think about your online network. Who are you around and whether what they are sharing is helping lift you up or is it holding you back? If you’re the average of the five people you spend the most time with, who are those people online? It’s time to start thinking about who you can follow to lift up that reputation, to lift up your knowledge, lift up your expertise. 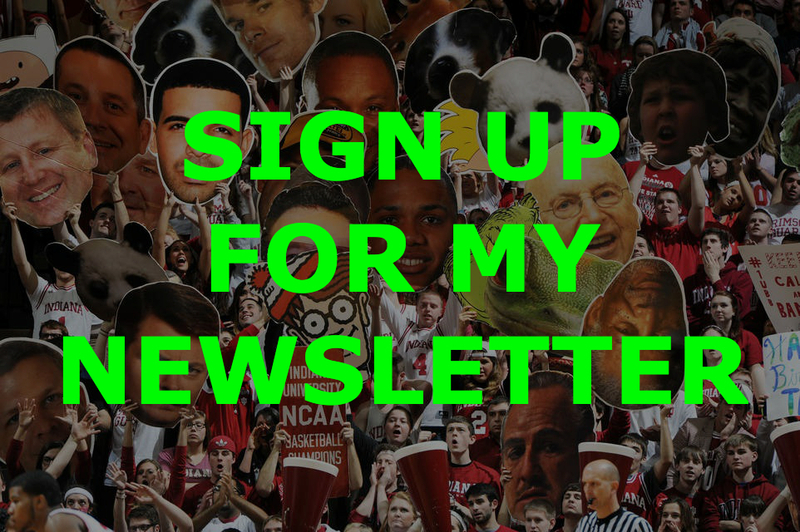 There’s some great professional athletes out there that are doing some great things on social media and I have a list of them in this course. Choose ones that you want to aspire to be like. Certainly people will be following you because they aspire to be like you, but who do you want to be like. How can you follow along with what they’re doing and learn from the best because they’re engaging their audience and you can learn some great lessons. Not just learn lessons, but you can share their content, you can show that you’re listening to them and they’re teaching you something. There’s a great mutual benefit there, so think about who you are around. 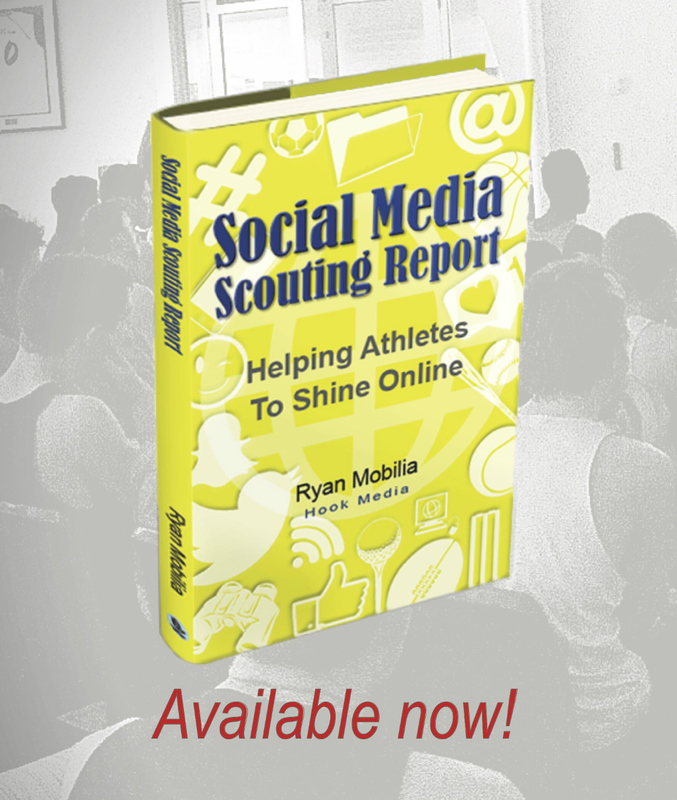 Another key aspect of following the leaders on social media, the leaders in the sports area on social media and the best athletes that shine online, is learning how they handle getting through social media at different times. How do they focus when it’s time to play their sport? Do they switch off to switch on? Are they shutting down their social media accounts in the lead up to tournaments through that focus period? Or, are they simply signing off each morning before a game on social media and then not checking it until the next day? Having a plan in this area is something you can learn from the world’s best athletes about how to handle social media spotlight. When it’s time for you to focus on your sport because you don’t want distractions that hold you back that have nothing to do with what you’re doing out there in your athletic pursuit. As you move towards the professional ranks of your sport or start to become more known in your sport, again the opportunity for people to want to put you down comes out too. I don’t want to dissuade you from using social media to do great things, to make a positive impact and tell great stories, but it’s just the way of the world. Too often people are out there to cut people down that are doing well, so be aware of cyber bullying and trolling. My first tip, don’t suffer alone. Don’t try and take on all those people that are just out there to stir you up alone. Get support from a coach, from a teammate for a teacher, you know don’t go through it alone. Save that content, screenshot that content and save it as evidence of the stuff that you’ve been going through. Some people say that you can come back with a bit of humour but be careful with that because I really want you to bite back, I would avoid over reacting and getting involved in that. I’d be blocking and reporting it on social media. Take advantage of the tools that the different platforms have for you to block and report.